'Scorching' - and pretending not to race. | theraceforthecafe.com . 'Scorching' - and pretending not to race. 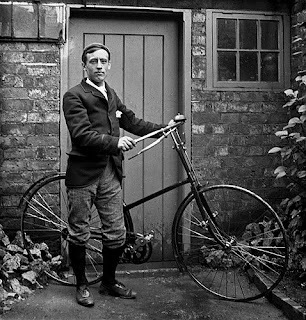 This week’s post is a look back at some of the history of cycling in Britain and should interest the many readers of this blog who prefer to race against the clock.While I was doing my PhD I was asked to contribute to a book due to be published later this year by Routledge on sports which are quintessentially British. I ended up writing a chapter on time trialling, so I had to do quite a bit of research on the history of cycling in Britain. I will do a couple of posts based on that research later but for now here is a quick look at why the time trial discipline is uniquely British and why it developed here and nowhere else. But first let me make my position on time trials very clear – they are not for me, not my thing at all. Any race on a bike where you can’t keep your nose out of the wind by shamelessly 'sitting in' behind your fellow competitors for as much of the race as possible - is an ill-conceived race format to me. The last time trial I did was in the summer of 2014, there were no 'real' races on that week so against my better judgement I was persuaded to ride a ‘ten’. My training partner Neil (below) whose wheel I have no difficulty (or compunction) holding on to all day long, was my ‘minute man’. In the 'test' Neil was easily able to turn a one minute advantage in to about 5 mins in the space of 10 miles. NOTE The practice of ‘drafting’ is today the basis of cycle road racing tactics as there is an approximate energy saving of 1% per mph when riding behind another rider. The higher the speed the greater the energy saving. Taking pace or ‘drafting’ in the slipstream of another rider has the potential to conserve up to 39 per cent of the energy required for forward motion (Hagberg and McCole 1990). Now 39% is a big number and to me and one that completely confirms my view of time trials - if I could have had 'a sit' in I would have got the same time as Neil! 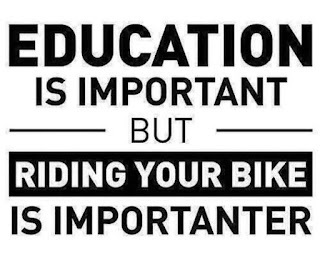 At least on the night in question nobody was able to overtake me, well, when I say nobody, I am not going to count the cheeky kid who passed me riding on the cycle path – as far as I’m concerned a BMX isn’t a proper bike anyway. Despite my aversion to them, in many respects time trials are the bedrock of the British cycling scene and have been for generations. 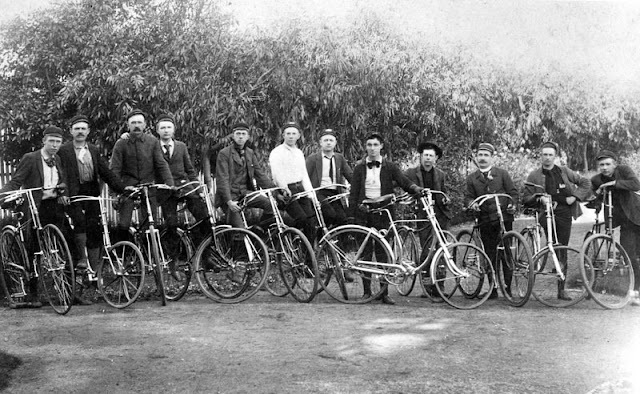 They developed as a consequence of the cycling ‘boom’ in the 1890's which saw a huge increase in the number of cycling clubs. This massive popularity coincided with a wave of urban expansion across the country which allowed cyclists easier access to the countryside. The value of pacing (drafting) it would seem was discovered very early in the development of bike racing, but for many years it was carried out in a very casual way. Club members would pace a friend or even a stranger and the paced rider would ‘owe’ another pacing job. The repayment of these debts was a matter of honour and the obligation would be discharged scrupulously. Races in the 1890s bore little resemblance to the road races that developed on the continent and that we are familiar with today. There are no detailed accounts of races from this period although Peter Whitfield in his well-researched book Time Speed and Truth: A History of Time Trialling 1890-2010 (2013) arrived at a clear idea (based on press reports) of what took place in these events. These were not massed start events, riders set of at intervals, sometimes alone and sometimes in groups according to a handicapping system, although how the handicaps were calculated is not known. The key difference between these event and the time trials of today was that ‘pacing’ was allowed, in fact it was the norm. Soon after the start of the race competitors were joined by teams of friends who escorted or led them for part or even all of the race. As the races were run as handicaps the aim was for all of the competitors to come together at some point in the race. In the final miles of the race large groups of riders would be racing at full speed for the finish line, just as we would see in a massed start road race today. So a race that might have started with seventy riders, who all had one or more pacers could end in a bunch of up to 200 riders. So a race that started as a time trial finished with a bunch sprint involving twice the number of riders that had started. Now this sounds like a race format that would have been right up my street – as long as I was being paced – not the one doing the pacing job – I would have asked my mate Neil, he would have been be up for that. Pacing was accepted practice, although somewhat controversial, as pacers were often paid for their assistance and some riders were in a position to pay and others were not. The riders also trained with pacers on public roads which acquired the nickname ‘scorching’. As the activity of the ‘Scorchers’ increased, accidents became more common and police hostility towards cyclists became intense. It was perhaps not too surprising then that the police and the magistrates became opponents of racing on the rural roads of Britain. In response the governing body of cycling the National Cyclists Union (NCU) recommended that all racing should be switched to tracks and private circuits. 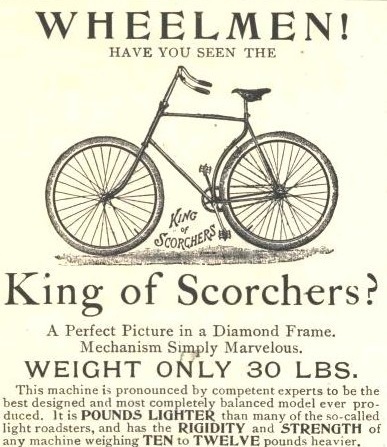 Cutting edge 'Scorcher' from 1895 - the frame shaped around the back wheel - looks familiar. It was ironic that from the cyclists’ point of view the only thing regarded as controversial about pacers was that some riders were in a position to pay for their services and some were not. There seemed to be no recognition of the fact that it was the use of pacers that was causing the controversy over racing on the roads (Whitfield 2013). 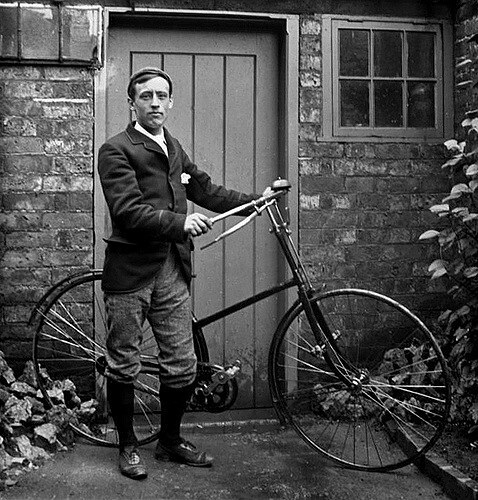 Frederick Thomas Bidlake a member of the North Road CC recognised that a solution had to be found to defuse the hostility towards competitive cycling on Britain’s roads before the activity was banned completely. Bidlake’s idea was to introduce a race format where the riders competed without pacers, started at intervals and raced the course alone. The winner was the rider with the fastest time, this crucial change transformed the sport of time trialling in to a true solo effort. This was an ingenious solution, as a fiction was being created that this was not actually a race, but a succession of individual riders passing along the road. Riders must wear ordinary dark cycling attire, no shorts, no fancy colours or caps. Riders must be separated by two or three minutes to prevent bunching. No pacing or company riding. Absolutely no publicity as to the time and place of events. Events must not be shorter than 25 miles, or better, 50 miles, to keep speeds down. 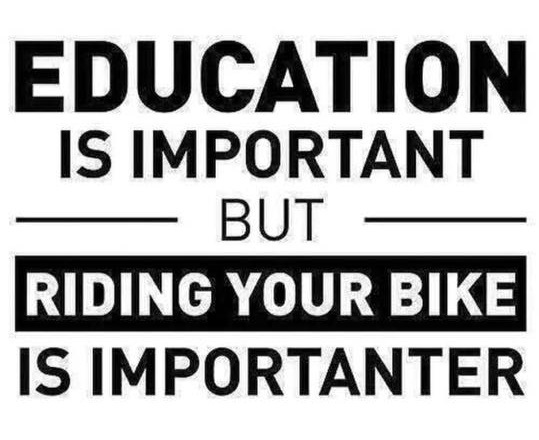 Courses must avoid towns and no racing through villages. This was the beginning of time-trialling in Britain and the element of secrecy was central to it. From the very first events time-trialling was shrouded in secrecy, a race where competitors pretended not to race. 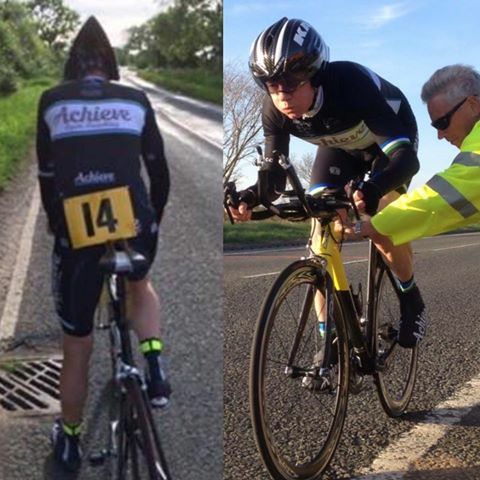 As a result, time trialling developed in to a hidden activity of which only those taking part had any knowledge. This sense of secrecy was to take deep root in time-trialling and effectively separated it from all other forms of sport in Britain. Organisers and competitors had an almost paranoid fear that they would lose the right to race on the roads and this was an attitude that remained deeply ingrained, even up to the Second World War, despite changing attitudes and a radical change to traffic conditions. Time-trialling had created its own identity held together by an agreed code of conduct. It was to become a very British grass roots sport still organised and sustained today (although not quite so secretly) by hundreds of cycling clubs around the country. On the 17th January I defended my thesis at Teesside University. The questioning was quite rigorous and they didn't give anything away during the 'viva'. It lasted about 90 minutes, which is quite short and it felt a bit like a fairly tough job interview. Afterwards I was asked to wait outside - that was a long 10 minutes! When I went back in it was all smiles and the lead examiner shook my hand and announced that I had passed and was to be awarded my Doctorate. Finishing a PhD is tough and 7 out of 10 people who start don't make it, so to say I was chuffed is an understatement. I have hardly stopped smiling since. So I am now Doctor Tony Rees PhD - writing that just made me smile - again.